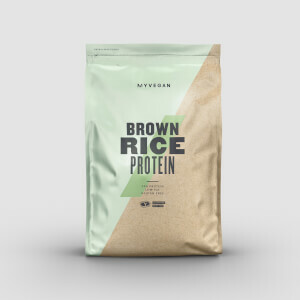 Derived from whole raw hemp seeds, our 100% Hemp Protein is loaded with 15g protein, while being completely free from soy and dairy — making it perfect for people on plant-based diets. 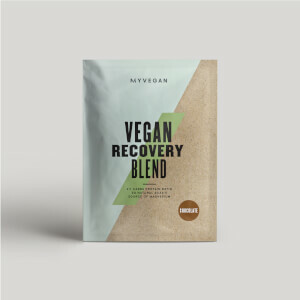 Created from all-natural, plant-based sources, it’s a great way to get high-quality protein into your diet, helping you grow and maintain important muscle1 — vital for whatever you’re looking to achieve. When to take 100% Hemp Protein? What does 100% Hemp Protein work well with? Our 100% Hemp Protein is the perfect plant-based shake to fuel your fitness goals. But, if you’re looking for a tasty treat to curb sweet-tooth cravings try our Vegan Protein Bars — with 13g of protein and no artificial sweeteners, it’s our snacking solution to help all-natural gains. I bought it because your milk based products irritated my bowels and gave me the runs. Plus I am aware of the useful and naturally available benefits of the hemp plant for the human body. This stuff tastes like hemp and it doesn't really dissolve into the liquid. Its a bit like making a tea using leaves. They get wet and mix into the water, but they remain bits of tea. So this powder remains powder in the mixer and turns the water cloudy green and some settles at the bottom of the container. Its a unique and interesting, not unpleasant taste, of hemp(!) which is a grassy, not sweet, not bitter, vegetable taste. THe effect on the guts is completely benign, and yields a satisfying energy supply. One star off because it doesn't get you stoned. Gutted. Plus its a bit on the pricey side. I may try Pea Protein as an alternative. 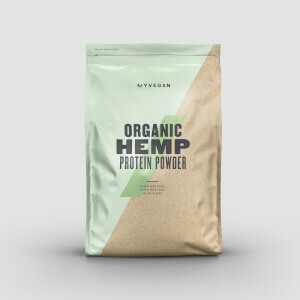 Searching for a vegan alternative to whey protein I tried out this Hemp Protein. I suppose the effect would be fine, however, I cannot manage to drink it, as my stomach simply rejects it. The taste is acceptable for the first 100ml and becomes unbearable afterwards. The texture is similar to dirt put in a mixer. Unfortunately, mixing the protein with other ingredients does not hide the taste. I would not recommend buying this product. Despite its nutty smell, this product really does taste like pondweed when mixed with water alone. However, three teaspoons of instant hot chocolate and I've become quite addicted to it! Perfect if you're trying to avoid the lactose and gluten found in other products. I have been using product for two weeks and am already seeing the benefits in conjunction with my healthy 5:2 diet and normal routine of going to the gym 3-4 times per week. Getting the lean definition that I just wasn't achieving with my normal eating/ exercise habits. Highly recommended if you're looking for leaner definition! Water, instant hot chocolate and a dash of almond milk. 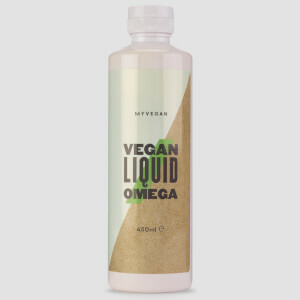 Great alternative for those wanting to avoid dairy, wouldn't recommend drinking with just water though. I blend it with 300ml almond milk, a tablespoon of cocoa, tablespoon of chia seeds, a banana and a tablespoon of honey/maple syrup pour over a bowl of berries, kiwi and nuts for Paleo/Vegan Friendly breakfast. Being vegan and lactose intolerant I was looking for a good plant protein powder to help with my fitness. Hemp protein is definitely my favourite as it has a complete set of essential amino acids and it's very kind to my gut. It does have an earthy 'green' taste if you're having it on its own which I'm not particularly a fan of, but I blend it in a smoothie with 2 frozen bananas, berries, spinach, chia seeds, nuts and almond/cashew milk and it tastes great. Blending it mixes it well and I haven't noticed any issues with it floating or separating. Finished the first bag and about to buy my second one. Thanks! Tastes of hemp, can't really judge effectiveness yet, but does postpone hunger and facilitates recovery. Bananas, nut milk, cranberry juice, vegetable soups, homemade protein bars. Enjoyable savoury or sweet. Trust Me, Make The Switch! I was scared of buying this as people where talking about how bitter it was, but if you can down the taste BCAAs this is a walk in the park. It's slightly bitter, but bitter tastes are meant to increase your bile production helping digestion. You can also taste it's nuttiness in whatever you're making but you will easily get used to it. I have flatulence problems with almost every protein powder on the market but this has eliminated it completely. I've even stopped getting acne too as my gut has healed from the damage. I haven't lost any mass since switching from dairy and egg proteins and it mixes easier than Casien and Whey. It absorbs a lot of water so you're going to have to add a lot more moisture to your recipes. Vegan Proats: 1 scoop with Rolled Oats, Banana, Sweetened Soy, Mixed spice and/or Cocoa. Vegan Pre/Post Workout Shake: 2 scoops with Creatine, Spirulina, Green Tea, Cocoa, Ginger, Spinach Beetroot Juice, Mixed Berries, Banana, Ceylon Cinnamon. And the best recipe....Water. As far as proteins go, this seems to be a little easier to tolerate if you don't like the sickly sweet, all in one, whey based mixes like XS or Extreme. I thought I'd give it a try as I looking for something which lent itself more to a paleo option. TBH, I actually prefer this to the other stuff I was taking (XS & Extreme). They were very sweet and had to tone them down with a spoon of powdered coffee to stomach them. Ok, so it may be a tad lighter on the protein content so take three shakes a day to make up for it. Where the XS and Extreme would play havoc with my insides this is noticeably easier. I still get a bit of gas but that's more likely from the milk I mix it with than from the product. I prefer to use milk as it makes it taste like cold pea soup. To be honest I like the taste this way and I take 3 heaped scoops a day and mix each one with about 2/3 of a pint of milk. It goes down well. Water makes it too watery and as for fruit juice, that would be just plain wrong. Think savoury and you'll be ok. Mixibility is pretty good. A tad grainy but nothing more than usual. I get the odd clump of powder stuck to the inside of my shaker lid afterwards but I shake that off with a bit of water and down it too. Results - too soon to say as it's only been a month.